Metaplast Chemicals was registered as a Proprietary Company in 1963. Its principal activity was, and still is, the development of polymeric (resin) compounds for Industry. The company has shown a healthy rate of growth. We are happy to say that this growth is continuing at a steady rate, thanks largely to the growing circle of satisfied customers. 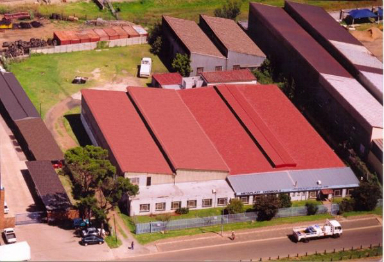 At present Metaplast Chemicals (Pty) Ltd are situated in an industrial area in Wadeville on premises owned by an associated Company. The factory, offices and laboratories occupy an area of approximately 3 000 sq.m with provision for likely expansion. Our laboratories are equipped to ensure strict quality control of final products and develop products to suit specific applications. We now specialize in a range of electrical resins. We have a range of eleven injection molded shells, which covers the cable size range from 1.5mm² to 300mm². We are committed to manufacturing and distributing products of excellent quality and good value to the market. We endeavor to maximize the potential of our employees. The Company is entirely committed to the Quality Management System and the contents of the Quality manual.